Look what Frank Kozik came up for Kidrobot this time! 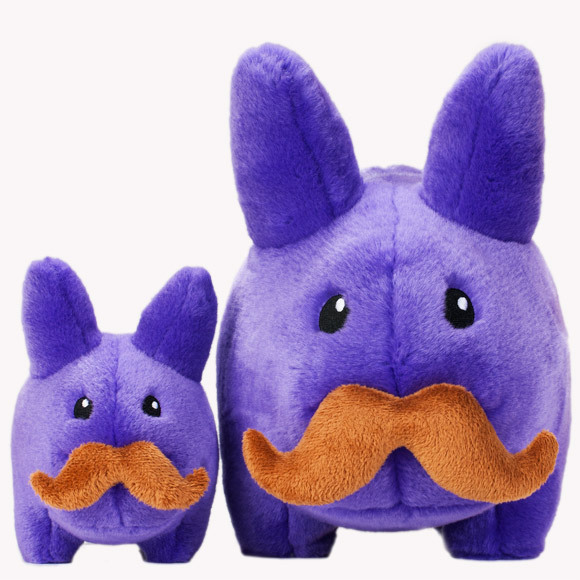 Two color variants of plush mustachioed labbits. In yellow or purple, this cuddly labbits scream CUTE and I just want to get my hands around one of them. Available in 7 and 14-inch sizes, these icons retail for US$17.95 and US$39.95 respectively, hopping on shelves at Kidrobot stores, kidrobot.com, and select retailers July 26. I wish one of the local specialty toy stores bring them here soon. 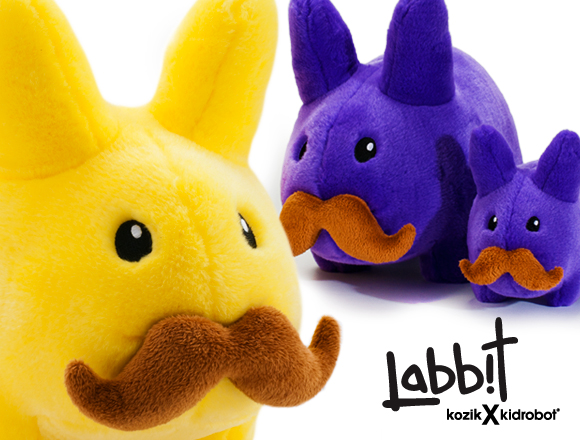 Anyway, whether you are looking for some yellow sunshine or purple haze, these mustachioed and vibrant labbits are good clean fuzzball fun. More Labbits on the Way!